APPLE launched a fresh assault on the computer market this morning, unveiling a host of new Macs and one top-of-the-line laptop made in the image of its market-leading tablet computer, the iPad. The world’s richest technology company not only unveiled but launched into stores a new “flagship” laptop yesterday in the “next generation” MacBook Pro that has slimmed down to just 1.8cm and weighs just over 2kg, yet features greater than full high-definition display. But the new laptop throws out some older technology, ditching the DVD drive and a wired internet connection. Apple worldwide marketing vice-president Phil Schiller unveiled the new laptop model at Worldwide Developers Conference in San Francisco this morning, telling the capacity crowd the new model would introduce future-ready features instead of keeping older ones. 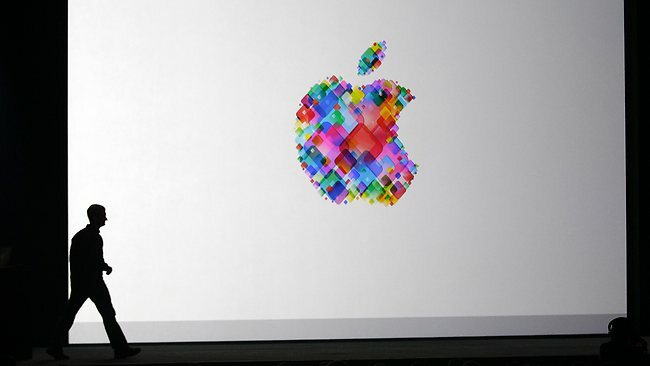 The next-generation model will add a Retina Display with more than 5 million pixels, making it the “world’s highest resolution notebook display,” Mr Schiller said. The computer, available in Australian Apple stores at a starting price of $2499, also features two USB 3.0 ports, an HDMI connection for the first time, a thinner power connection and powerful hardware updates including Intel’s new third-generation Core i7 processor and up to 16GB RAM. 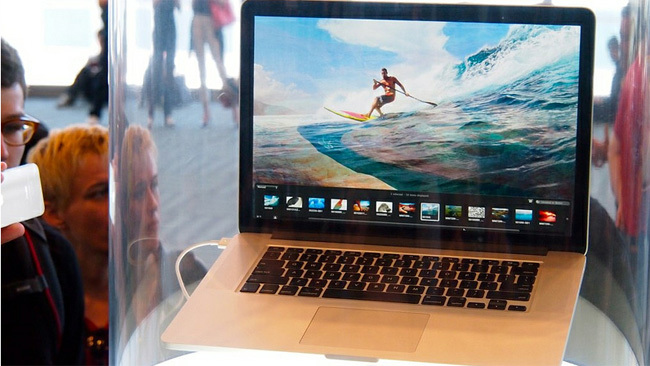 Apple is launching its new computers at a tough time for the laptop market, however. Computer sales grew just 1.9 per cent in the first quarter of the year, showing “worse-than-normal consumer PC shipment growth,” according to Gartner. The company is the third top computer maker in the United States, with a 10.6 per cent share of the market, but Apple ranks outside the world’s top five computer makers, unless iPad sales are included in the tally. Apple also announced a new iOS 6 operating system for the iPhone and iPad includes "an entire new mapping solution from the ground up, and it is beautiful," Apple's Scott Forstall told the Apple Worldwide Developers Conference in San Francisco on Monday. "We are doing all the cartography ourselves. We are covering the world," Forstall said. Apple has "ingested hundreds of millions of business listings around the world," he added, and has integrated with the consumer review service Yelp for reviews and ratings. The Apple maps program included real-time traffic, updated with help from users "to keep traffic info fresh and up to date," he added. The move means Apple, which is in a battle against devices powered by Google's Android operating system, will no longer rely on the Google program for its main maps application. Apple has been in an intense legal battle with makers of Android devices, contending the open-source software infringes on patents from the iPhone and its operating system. Although maps does little to generate revenues directly, it often links to searches for products and services such as restaurants or businesses. Analysts say the Apple maps program could, over time, move iPhone and iPad users away from Google search and reduce revenues for the search giant. Apple said its iOS 6 would be in devices shipped in the coming months that would also include the Siri personal assistant, which performs many of the search functions of Google. "Siri has been out only eight months," Forstall said. "In these eight months, Siri has been studying up and learning a lot more." Another improvement to the iOS will be to incorporate Facebook within the operating system of Apple devices. "We have been working very closely with Facebook to create the best Facebook experience ever on a mobile device, we are integrating it right into iOS 6," Forstall said. Apple also announced Intel chip upgrades across its other laptops, including the MacBook Air and existing Pro models, and revealed elements of its upcoming operating system upgrade, Mountain Lion, including dictation, notifications, and an automatic update mode called Power Nap.